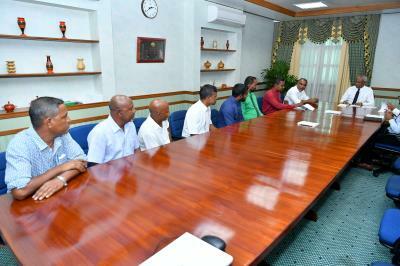 President Ibrahim Mohamed Solih has this afternoon met with members of the Bileiydhoo Council of North Nilandhe Atoll. The Councilors especially noted the challenges being faced due to coastal erosion in the island, and the lack of proper urban resources. During the meeting, President Solih gave reassurance of the administration’s continuous support to resolving the issues faced by the people.